April 30, 2013. Guest: Mikelann Valterra’s passion is to help professionals escape the money fog, feel more in control of their finances and love their financial life. She believes everyone can truly heal and transform their relationship to money. Mikelann is an author, speaker and leader in the field of personal finance. 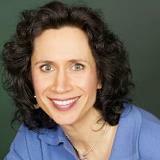 She is regarded as a money coach/ financial recovery coach, who has worked with professionals for over 15 years. She addresses practical money matters as well as the emotional components that often fuel unhealthy financial behaviors.